A restoration of the ancient Colosseum in Rome has revealed previously unseen red, blue and green frescoes, a world away from its famous monochrome facade. 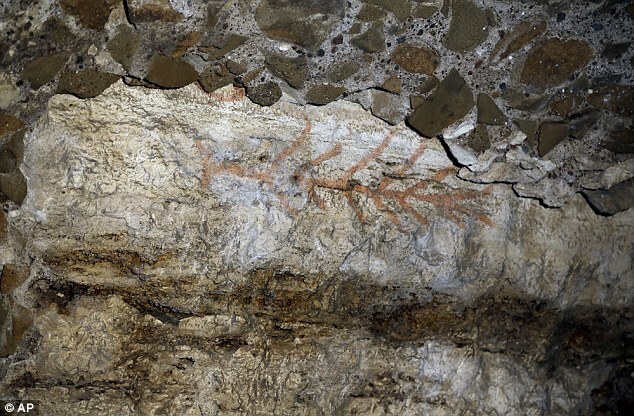 Another discovery of the recent restoration of an internal passageway is a selection of graffiti and drawings of phallic symbols. 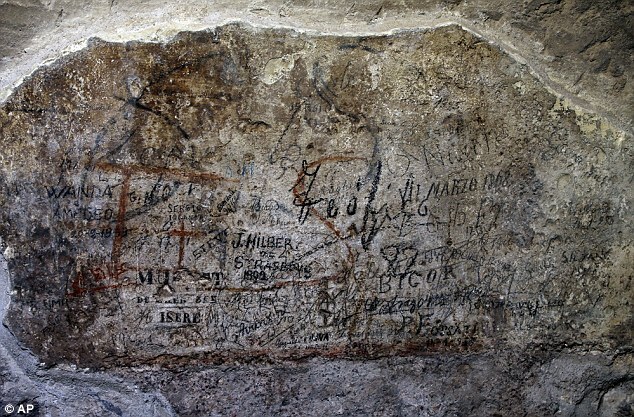 Experts believe some of the graffiti may date from the 3rd century, after the Colosseum was restored following a fire in AD 217. The findings paint an all together more colourful appearance than archeologists had previously thought of the famous 50,000-seat amphitheatre. The discoveries were announced today, and officials have said the passageway will be open to the public later on this year. 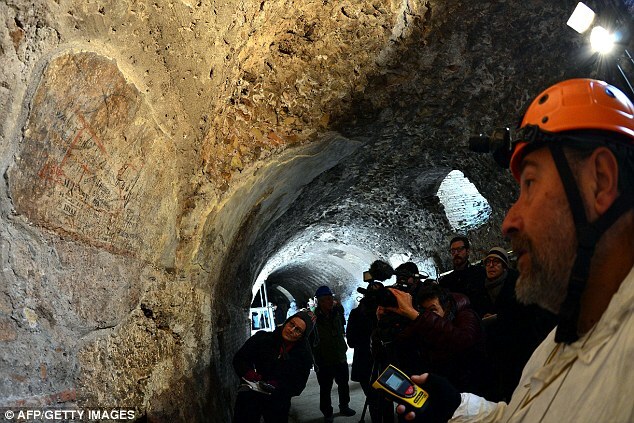 The frescoes were found in a passageway situated between the second and third levels of the Colosseum. This is the highest level of seating, and is a wooden gallery reserved for the lowest classes and furthest from the action in the arena. 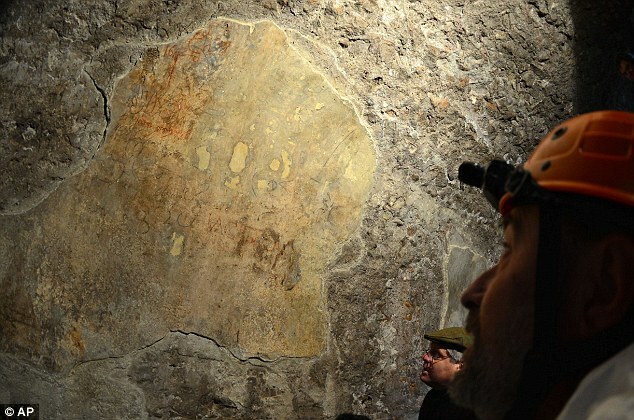 Huge amounts of calcified rock and dirt had hidden the frescoes, which were revealed during a cleaning and restoration project, which began in November. The traces confirm that while the Colosseum today is known as a mix of monochrome gray rock, red brick and moss-covered marble, its interior halls used to be a multitude of colours. 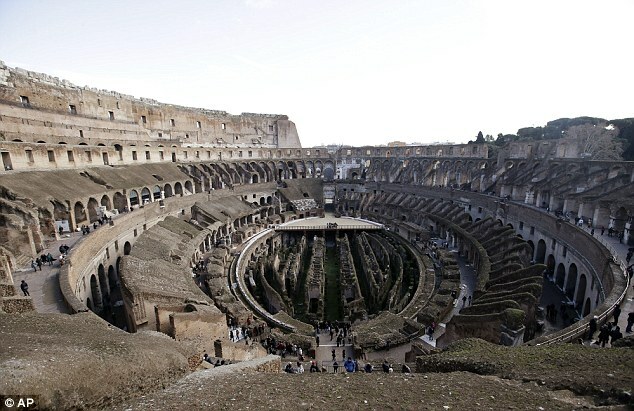 It was built between 72 and 80 AD and was originally used for gladiator contests, and re-enacting sea battles. It was the largest ever built in the Roman Empire, and was built of concrete and stone. In its heyday it could seat 50,000 spectators on three tiers of seating. The building ceased to be used for entertainment in the early medieval era. It was then used for a variety of purposes, including housing and and a Christian shrine. The exterior of the building is visited by millions of tourists each year. 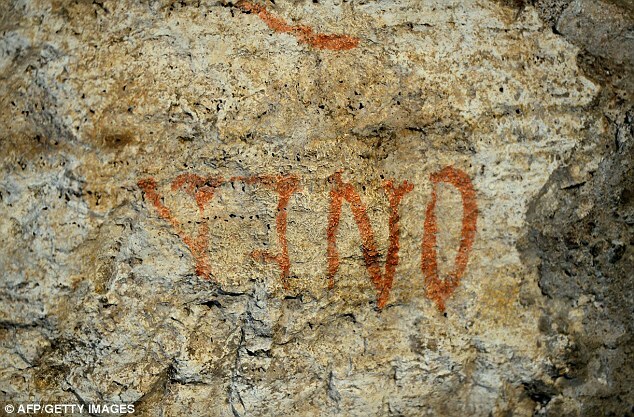 The Latin word ‘VIND’, referring to victory or revenge, was also found. 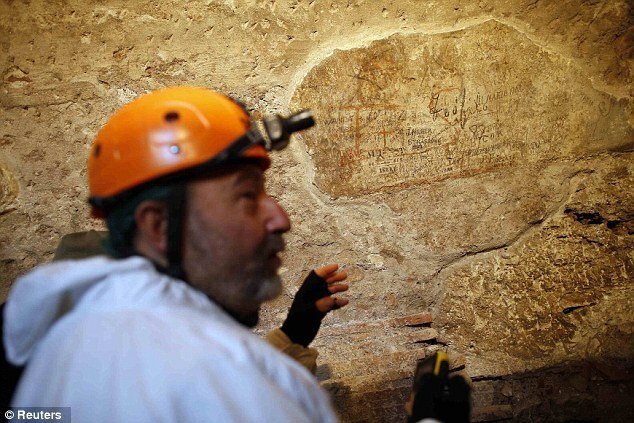 ‘We’re used to thinking that during excavations, archaeological surprises are a risk for builders and for the city’s development,’ said Rome archaeological heritage superintendent Mariarosaria Barbera. 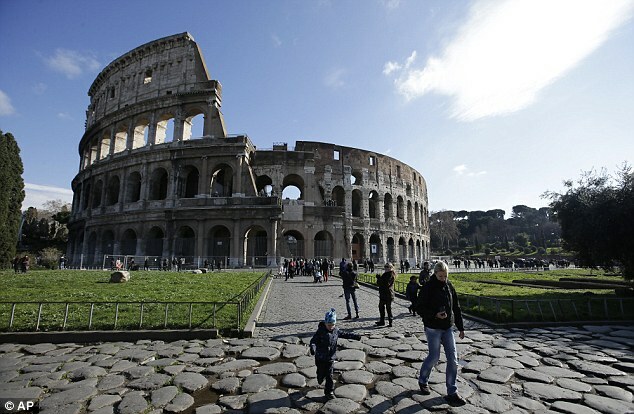 Colosseum director Rosella Rea said less than one per cent of the painted surfaces of the Colosseum remain.